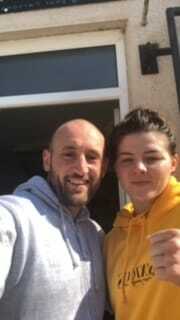 Last Friday here at the PHFitness private personal training and sports massage studio in Derby, saw the beginning of our performance nutrition work with current Team GB/One Nation amateur boxer and Commonwealth Games gold medallist Sandy Ryan!! Sandy has a huge year ahead of her in 2019 as she looks to begin her assault on qualification for the 2020 Olympic Games in Tokyo!! Our job here at the PHFitness private personal training and sports massage studio in Derby is to now not only get Sandy to her competitive fighting weight in the safest way possible, but to do this by keeping her fully fuelled, strong and explosive for her training sessions and subsequent boxing matches. 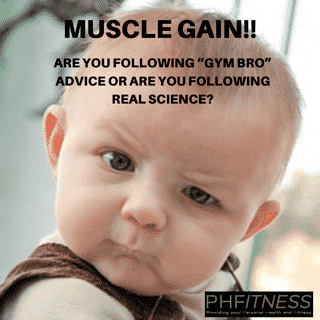 When working with any weight making athlete, it is of paramount importance that you take absolutely nothing away from their training or competitive performance with methods that do not align with keeping them safe and at the highest level of performance possible. Unfortunately I see athletes in the world of boxing “making weight” in ways that are hugely detrimental to their performance and that can ultimately result in them putting themselves at huge risk of under performance and dehydration. Something that as a weight making athlete should be avoided in a bid to maintain their health, performance and mental state of mind!! Sandy will now begin her performance nutrition journey with us and will do so by being advised with the latest evidence-based weight loss and performance nutrition information available in a bid to give her the best results possible in her journey to the 2020 Olympic Games in Tokyo. With Sandy’s drive, determination and motivation to be the absolute best in the world at her sport, I have no doubt that we are going to get some absolutely amazing results with her performance nutrition and that she will ultimately go on to strike gold in Tokyo in 2020!! We have an exciting journey ahead which will no doubt be a road full of twists and turns but in the sport of boxing, the cream always rises to the top in the end, and we have zero doubt that this is exactly where Sandy will end up come the end of the 2020 Olympic Games in Tokyo! !